► Should you still buy a diesel? Micro Electric: honey I shrunk the EV! CAR magazine on your tablet - and phone! 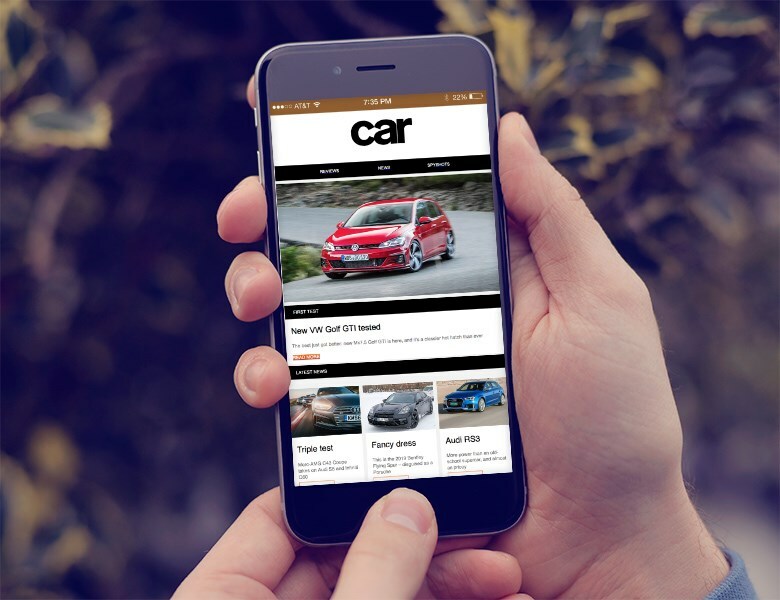 You can now read the full unabridged issue of CAR magazine on your smartphone, as well as your tablet each month. Don't miss our bespoke editions. Just search for CAR magazine app on the Apple Newsstand or your device's appstore. Get your weekly dose of CAR magazine for free - with our Friday newsletter. It's packed full of the best bits from Carmagazine.co.uk and our social media channels, hitting your inbox just in time for the weekend. Sign up today!